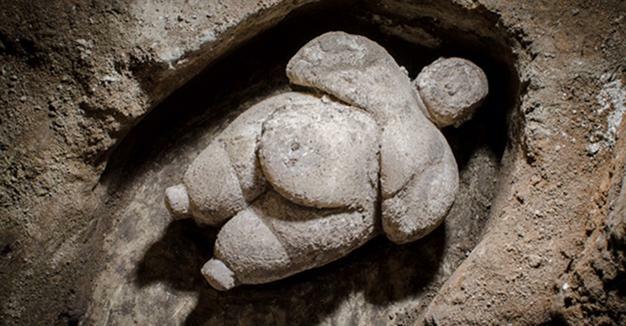 Archaeological excavations in the Central Anatolian province of Konya’s Çatalhöyük, headed by Professor Ian Hadder, have unearthed a well-preserved female figurine from the Neolithic era of 8,000-8,500 B.C. The 17-centimeter and 1-kilogram figurine was not found in a garbage field as usual but under a platform along with volcano-made glass. With the shape of head, hair style, hands under chest and small feet, the figurine is a typical Çatalhöyük artifact, but is distinguished for its fine details. Çatalhöyük is one of the earliest large human settlements in the world and provides important evidence of the transition from settled villages to urban agglomeration.